Shortly after 8am, Saturday, 2 February 2013. It was grey and raining as I stepped out of my apartment building. Despite the miserable-looking day, I was in good spirits because I was making a Costco run, something I hadn’t done in months, and I was also taking a friend and her partner as guests. So, I began walking to a railway station about 15 minutes away to take the train to Costco. 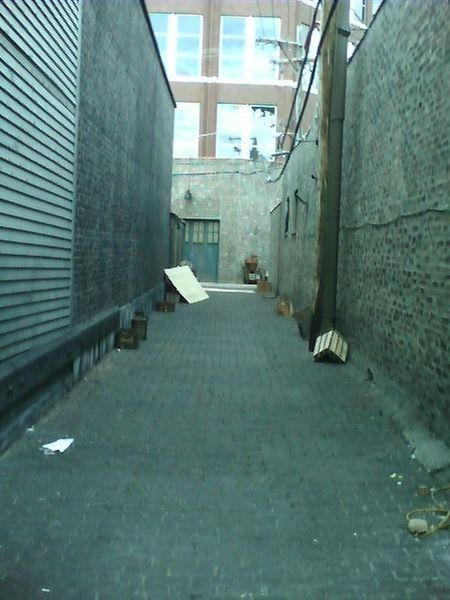 I crossed my street and entered a nearby alley. About 50 metres ahead at the other end of the alley, a young woman in a short skirt who looked like she’d had a big Friday night out on the town staggered into view. She continued staggering to some garbage bins on one side and stopped there. I decided to ignore her and continued walking. A moment passed, and I noticed that the woman was still at the bins. …but as I drew closer, I saw that she was now squatting behind the bins with her back to me, her skirt pulled up and her underwear pulled down. I groaned with contempt and disgust. This wasn’t the first time I’d seen Sydneysiders openly relieving themselves – and I’m sure it wasn’t going to be the last time – but it’s a grim and unhygienic sight that I never like to see. I needed to get to my train, however, so I resolved to look straight ahead, pay the woman no attention and hope that at the very least she was only doing a wee and not a big poo. Finally, I passed her only a few metres away. Out of the corner of my eye, I saw her stand and pull up her underwear. And then she did something completely unexpected. …but I suddenly found myself saying, “That’s okay”. After all, there had seemed to be some regret in her voice. As well, the sound of that “Aaaah…I’m sorry!” was unintentionally hilarious. And a day and a half later as I type this, I still find myself laughing at that. This entry was posted in Action, Having a Laugh, Life Challenges, Life Strategies. Bookmark the permalink. We never know “what’s around the corner,” do we? But think of all the endorfens your body made by smiling and later having a giggle about this encounter. Not only that, but homeless people are used to being treated as though they are invisible. Just your, “That’s OK” was sympathetic acknowledgement of her and her predicament. A ten second unexpected, bizare “relationship” can let us know I’m OK, you’re OK and life is not boring! I loved it!